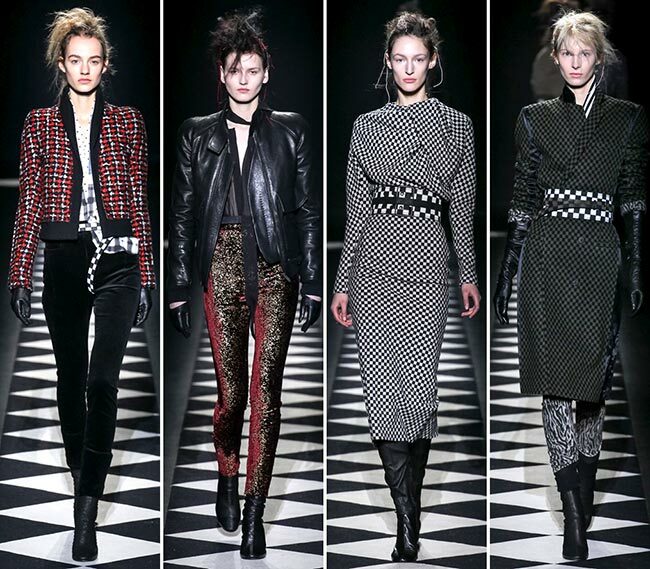 Colombian fashion designer Haider Ackermann may love his crazy hairstyles this season, but we cannot help but admire his deftness with the designs he presents on the Paris Fashion Week runway. His skills are truly noteworthy, even if some of these may not be to every woman’s liking. 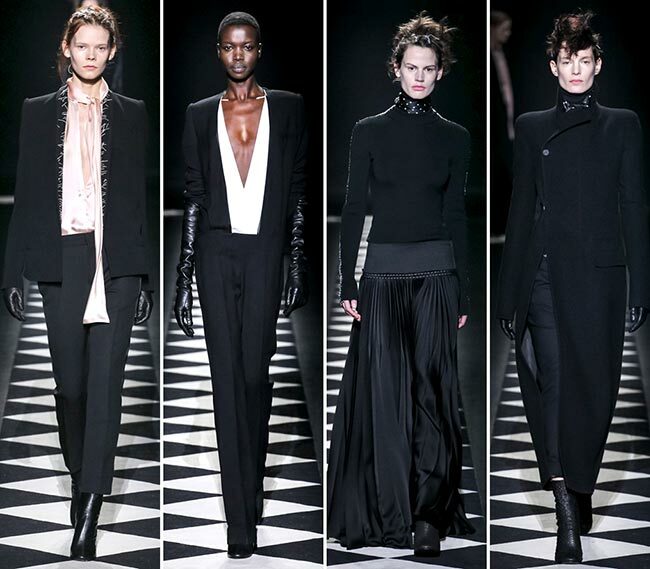 However, of the 30 outfits available in the Haider Achermann fall/winter 2015-2016 collection, there is nary one that gives us pause and inspires criticism. On the contrary, it is clear that the 43-year-old artist has learned much from his time as a child in Ethiopia, Chad, Algeria and France, before moving to the Netherlands, and his time in each country has shaped his creative mind quite nicely. Plus, while John Galliano is a fashion genius in a league of his own, it appears that the crazy hair is testament to Ackermann’s five months spent interning with the odd designer himself. 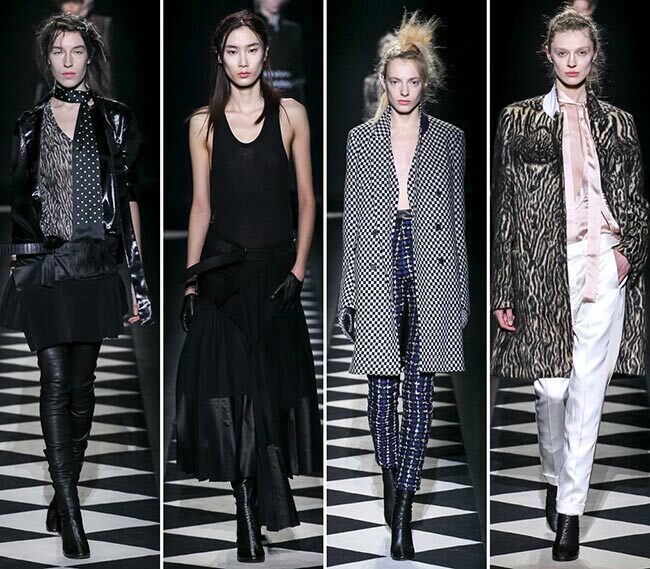 We have loved seeing the Haider Achermann label on the Paris Fashion Week runways since 2001, when he launched his eponymous label and debuted during the week. Throughout the years, many of the houses have asked for him to be the succeeding creative directors, and we can certainly see why. We have known for years that cultural differences influence Achermann’s fashions, where he loves to create contrasts and blend dress codes, sewing multiple materials in one outfit and loving the use of asymmetric lines throughout. He loves to keep things modern and dynamic, suited to urban areas and full of refined sophistication. 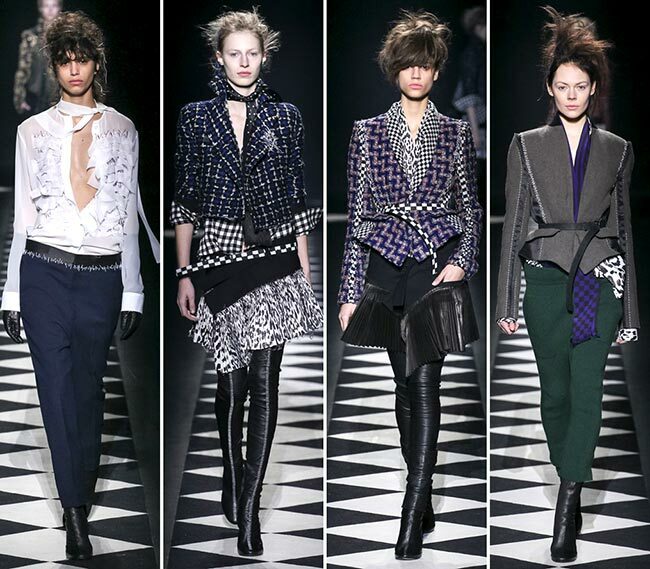 This can certainly be seen in the Haider Achermann fall/winter 2015-2016 collection as well, wherein we are given thicker tweed fabrics and find Ackermann mixing in silk, satin, cashmere and velvet, leather and chiffon. We find ourselves admiring the clean lines and the asymmetrical skirts, the straight cut trousers at the beginning that make the outfits appear to be riding habits, along with the leather gloves and boots to really attest to that theory. Those leopard print shirts hold their own appeal and we are enjoying imagining those pieces gracing out own bodies with their lightweight materials and gorgeous silhouettes. It also seems like tweed pants have been brought into the equation, the designer knowing full well that the winter cold may be biting but there are some fabrics that cut off the chill perfectly, tweed being one such material. 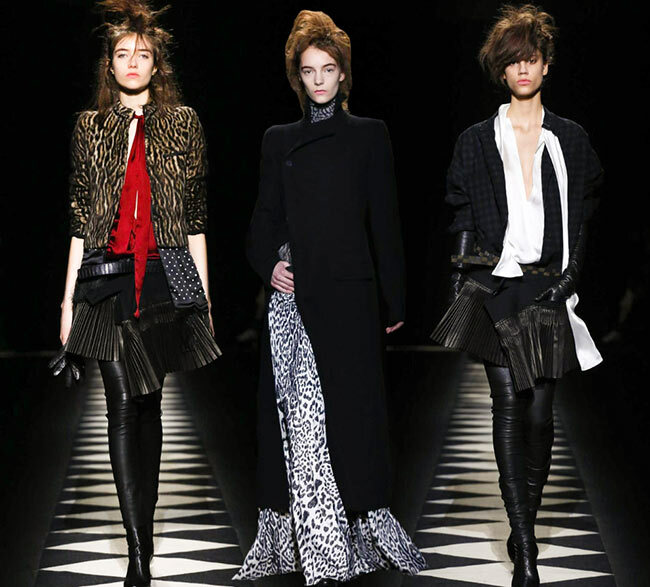 We do find the pieces presented to be following the 2015 fashion trends as well, what with the bare chest covered with a jacket, the plunging V-shaped necklines, the leather boots that reach the top of the thighs, the white trousers and the asymmetrical skirts, the black leather gloves and the multiple layers; we even see black and white concoctions which are a staple of the fall and winter months for the year it appears. 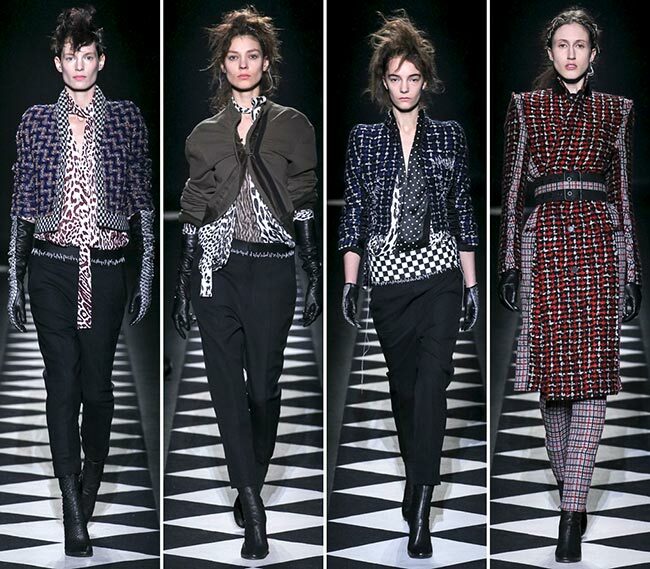 We even see velvet pants and keyhole slits in the blouses that we have seen time and again throughout the last couple of weeks on the different Fashion Week runway shows. We must say though that we love the leopard prints the best, even if they are not the most common trend to appear on the catwalk these last weeks.